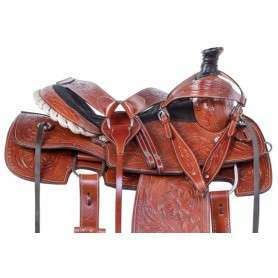 This beautiful roping saddle offers hand carved tooling on antique oil leather, a comfortable padded suede seat, shiny silver conchos, and several accessory ties for multi-purpose use. 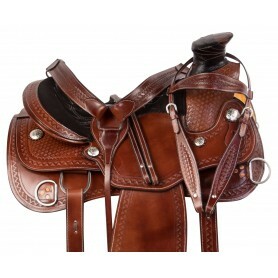 It comes with matching tack for only $399.99! 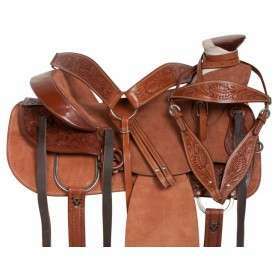 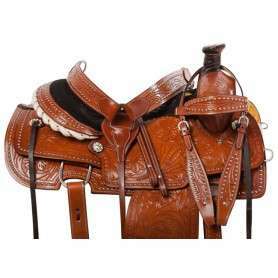 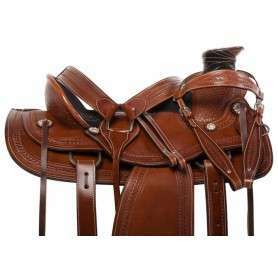 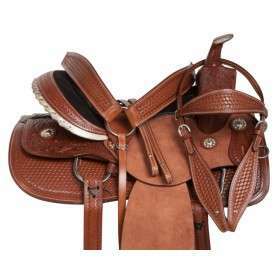 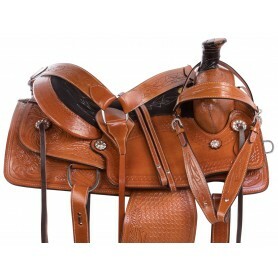 This roping chestnut western saddle is perfect for any ranch work you may need to do while out on the ranch! 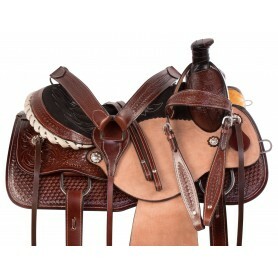 The saddle features a comfy padded black suede seat to ensure you stay comfortable during longer hours out on the trails. 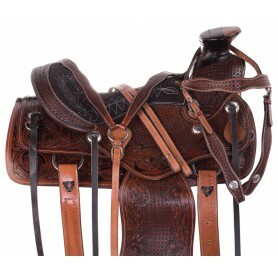 This wade tree training roping saddle offers both durability and functionality! 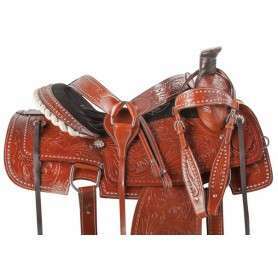 The medium brown colored leather is hand tooled with a basket weave border pattern and provides numerous rings for training purposes. 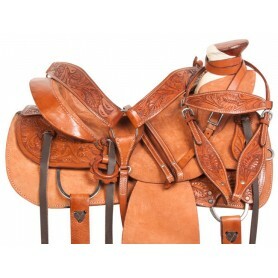 Now on sale for only $399.99 today!